‘Gilead’ appears on Barack Obama’s favourite books list. Yann Martel, author of Life of Pi, took up the challenge in 2007 of recommending books to Canadian Prime Minister Stephen Harper, 101 books over the course of 4 years. Every two weeks he politely sent a book and wrote a letter with it, giving reasons for his recommendation. ‘Gilead’ is one of those 101 books. Martel says he hoped that Obama and Harper would discuss the book after Harper had read it, a sort of impromptu book club! 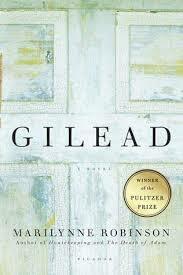 Pulitzer Prize winner in 2005, ‘Gilead’ does deserve the kind of attention that world leaders could give it. 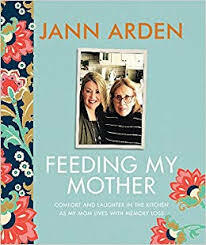 But it is surprising because even though it is a carefully constructed novel, it reads like a gentle ambling story offering glimpses of truth, love, grace, humility, and forgiveness. Story does so many things for us. It makes us more humane and more human and even the simplest story can be skillful at communicating profound and complex themes. ‘Gilead’ is a beautiful example of how a good story should be more about finding the right questions, rather than having all of the answers. This is what some Christian fiction suffers from, in my opinion – too many pat answers which tend to trivialize, moralize, and sentimentalize. In contrast, Robinson’s prose is refreshingly quiet and deep, a celebration of life in all its fullness. And yet, it also honestly conveys the tensions in ordinary relationships and personalities. We certainly are not perfect, but God loves us, and we can still be a joy to Him and to others even so. Wisdom is hard-won and grief and sorrow will always be a part of it. ‘Gilead’ has to receive full marks, but having said that, I also recognize that not everyone will enjoy it. As a novel, there is not much plot and as a book about lifelong learning (Ames is still trying to figure things out in his seventies), easy summaries or generalities cannot be gleaned from it. This book is an experience. If you already read ‘Gilead’ years ago, I would recommend a re-read (it might speak differently to you now) or else pick up one of Robinson’s companion novels, Home, or the most recent Lila, both of which expand on other characters in ‘Gilead’ and do not need to be read in any order.